Are You Tracking Rejected Rental Applicants? Rejected tenants may be entitled to an adverse action notice. This notice is required when the reason for the rejection is based on consumer reports, including credit checks and other tenant screening reports. For more information about adverse action notices, please visit our blog post When I Am Required to Send an Applicant a Rejection Notice? Another reason to track those applicants who were rejected is to defend against any subsequent allegations of discrimination. Landlords can shield themselves from frivolous claims by proving the actual reason for the rejection was legitimate, and the decision was not affected by factors such as race, gender disability and other categories covered by the Fair Housing Act, state or local statutes. Landlords should be tracking all applicants from the initial phone contact as part of an effective tenant screening process. The information provided over the phone at the first communication is crucial. It can be compared against statements made later, and against tenant screening reports to reveal inconsistencies. This is one of the best opportunities to catch a problem applicant before they become a nightmare tenant. 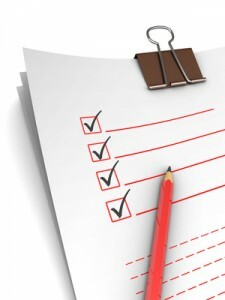 Tracking applicants can aid in a landlord’s self-evaluation. Are tenants treated uniformly? Is the landlord asking only questions that are relevant to qualifications? Do questions apply equally to all tenants? Deficiencies in the tenant screening process — such as asking different questions of different applicants or jotting down inappropriate information on the intake sheet — not only cost in terms of bad tenants, but also in terms of liability for discrimination. Discovering those shortcomings is the first step to improving the process and minimizing income loss. As a general rule of thumb, records should be safely stored for at least three years, but your situation may be different. Your attorney can give you specific advice regarding recordkeeping. Remember, once you obtain sensitive information on applicants or tenants, you must take reasonable steps to protect unauthorized disclosure.